Most people develop at least one cavity in their teeth in their lifetime. Cavities, also known as caries, are usually caused by poor oral hygiene, eating sugary or starchy foods, and dental damage. These small pockets of decay can be painful and eventually lead to tooth loss if left untreated. Depending on the severity of a cavity, it may be treated with fillings, crowns, or fluoride treatment. Fillings are a standard solution for mild-to-moderate caries and are available in a metal compound or tooth-colored composite formulas. What Kind of Filling Is Right for Me? Both of these options can help preserve a tooth for longer and improve your oral health, but many dentists are switching to the more modern white composite fillings to give patients better results. 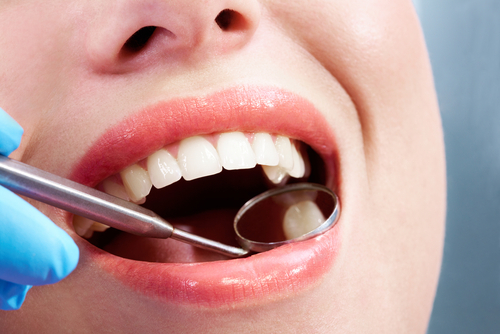 During your next dental exam or cleaning appointment, ask your dentist if they offer white composite fillings. 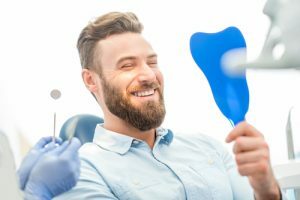 Some dentists can even remove existing or damaged silver amalgam fillings and replace them with tooth-colored restoration. To schedule a dental appointment at Gum Dental or to obtain more information about fillings, please call 610.746.0488 today!